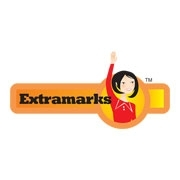 Extramarks provides learning solutions to students of the K-12 segment. It's learning App has become extremely popular amongst students in India and abroad. Premier schools in India are already using Extramarks learning solutions to deliver education to students. Extramarks also prepares students for entrance examinations through Learning App and Smart Coaching Centres for IIT-JEE and Medical. These centers provide a perfect blend of expert faculty and digital technology to ensure concept based learning instead of rote learning. Extramarks Learning App and Learning Tablet have become extremely popular amongst students of K-12 who study at home only with Extramarks. Description: You will start your journey at Extramarks Education Pvt. Ltd. as an individual contributor working in a team to introduce and showcase the unique way in which Extramarks helps students learn better. You will also be responsible for mentoring these students and will play a role in their learning journey. Your key role will be to connect with students and parents across North, East and West India and explain to them in person, about one of the world's most loved learning apps and how it will help the student learn not just for exams, but much beyond. Sector: Education Sector mainly focusing on K-12 Segments. Extramarks is the place for you where you can enjoy and chart out your professional life. Eligibility Criteria: Students with Active Backlogs are not eligible. Direct Sales Role CTC: Initial Rs 3 Lakhs up to Rs 8 Lakhs*. Grade 1: Salesperson gets a fixed salary of Rs. 7-8 Lakhs. Grade 2: Salesperson gets a fixed salary of Rs. 6-7 Lakhs. Grade 3: Salesperson gets a fixed salary of Rs. 5-6 Lakhs. Inside Sales Role CTC: Initial Rs 3 Lakhs up to Rs 7 Lakhs*. Grade 1: Salesperson gets a fixed salary of Rs. 6-7 Lakhs. Grade 2: Salesperson gets a fixed salary of Rs. 5-6 Lakhs. Grade 3: Salesperson gets a fixed salary of Rs. 4-5 Lakhs. *Initial 10 days of training will be in Noida/Bangalore and then the candidates will be relocated to the respective locations for which they have been hired.